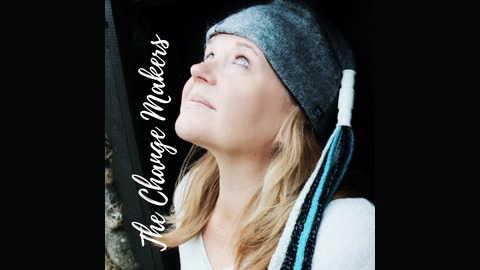 The Change Makers Podcast is created for high-achievers, leaders who want to lead from the new paradigm of leadership. How to bring leadership beyond measures of masculine and feminine leadership style, bringing spotlight to making people shine their light the brightest. The Tips, Insights Tools & Stories designed to helping leaders to deal with old system collapsing and become the change they want to see in their world. This podcast is designed for you as a leader, leading a team, a business, an organisation, a community even a national leader. Look at the successful leaders you look up to, who have already been there you will be working with other people. The history tell us that leaders, like President Obama, Oprah Winfrey, Steve Jobs, Angela Merkel, Theresa May, Princess Diana had the ability to inspire and engage with other people in a way people felt connected to them. How do you do that? How do you keep yourself uplifted, motivated driving through challenging changes and on the top of things AND deal with all sorts of people working for you? Well, this is where The Change Makers come in. A group of world-class personal development teachers, transformational leaders come in. We are here to help leaders like yourself to soar. Having your back all the way. 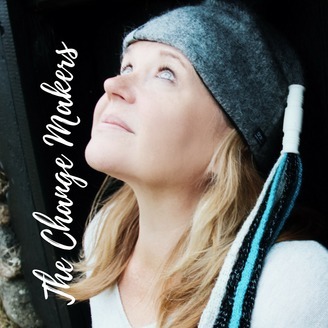 In The Change Makers Podcast we interview other changemakers, high-achievers who are making positive change in the world, asking them for their Tips, Insights Tools & Stories. We talk about their daily habits, how to find and honour their passions and purpose. How to keep people in your team motivated and highly engaging to their work? Sharon Cusens is a Graduate in Psychology and specialised as a Change Management. She is a Consultant. Film Director & creator of Spring Film Therapy, Author of book series: A Universal Language, Life Coach. She runs various courses in Personal Development at the Academy of Inner Excellence. An innovative, fresh and humorous interactive style of running workshops. Sharon stood in front of a big challenge in her life when she realised her marriage was over. Dreading the thought of telling her children the news, she decided to turn the event into an event of joy, celebration and tranquility. Today, she is helping other parents and their families to move into their new lives with ease and grace. You have a choice - Empower yourself. Commit to yourself - Stand by your side.